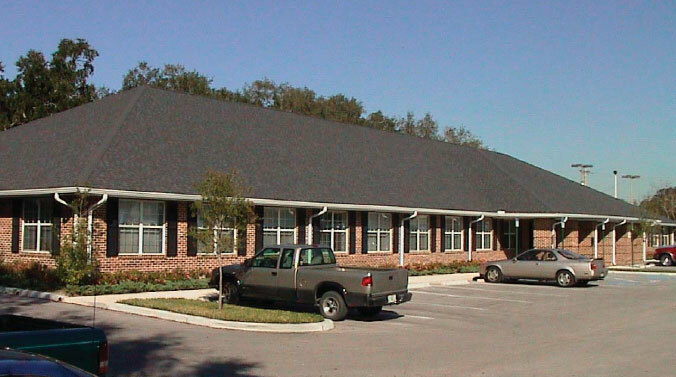 ADCOCK INSURANCE COMPANY – Danner Construction, Inc.
As part of a design-build team with architect, David John Oertel, Danner Construction delivered this single story 17,000 square foot office building and the associated sitework. The construction is masonry walls with brick exterior, wood trusses, metal studs and drywall for interior partitions with acoustical ceilings, data cabling. The sitework consisted of retaining wall, retention ponds, site lighting, landscaping, and brick pavers at the building entrance.